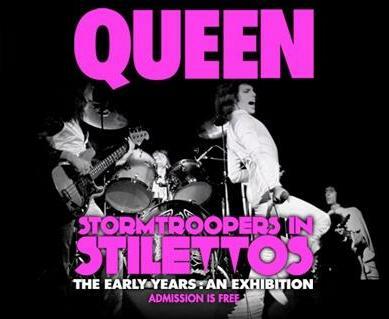 The 'Stormtroopers In Stilettos' exhibition was held to mark Queen's 40th Anniversary and focused on their early days, from the formation in 1971 to the legendary Hyde Park concert in 1976 and the 'A Day At The Races' album release. 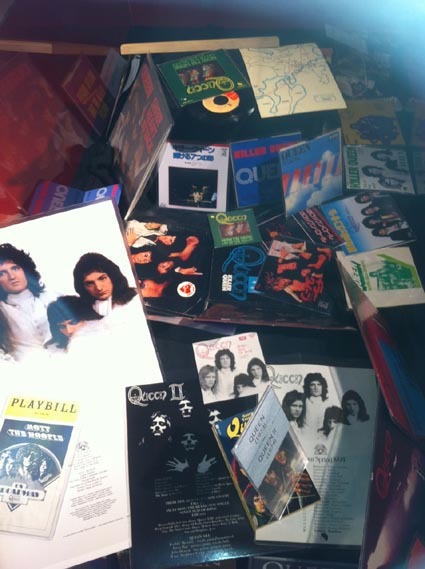 It featured rare artwork, unseen photographs, clothes, instruments, Freddie's school and college paintings, and rare music and videos. The exhibition was held at the Old Truman Brewery on Brick Lane, London, for two weeks from 25th February 2011 to 12th March 2011, and admission was free. 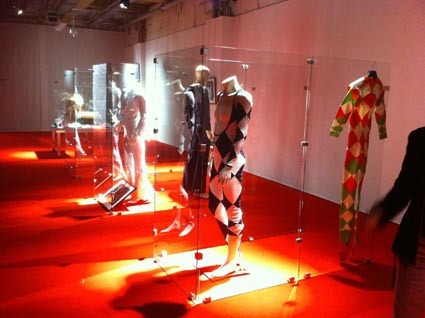 A similar exhibition was held at the Ikebukuro Tobu Department Store, in Tokyo, Japan, from 28 April to 4 May 2011, titled as "Queen & Music Life Exhibition Japan". 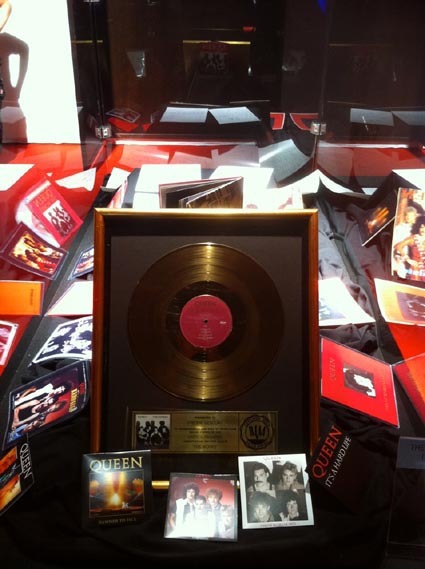 It was then staged at the Tokyo Tower ground floor exhibition hall, from 21 November to 11 December 2011, retitled as 'Queen Forever'. The exhibition then moved to Dresden at the Elbe Park shopping mall, from 12 October to 24 November 2012, retitled as 'Queen Backstage'. 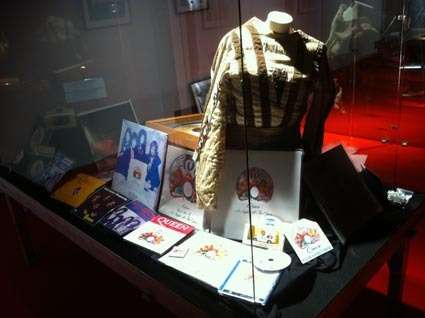 This exhibition included memorabilia from throughout Queen's career, and included cabinets focusing on each album. Many of the exhibits featured are now housed at the permanent exhibition 'The Studio Experience' in Montreux, Switzerland. More information can be found at the exhibition's website, http://www.stormtroopersinstilettos.com/, while a video from the press night highlighting some of the exhibits is available on Youtube here.